The Board of Directors Recognition Award was established to honor the extraordinary contributions of individuals to Hui No‘eau Visual Arts Center. The 2019 award is presented to Lee Hoxie in memory of John Hoxie! John Hoxie devoted his retirement years to a variety of civic causes, but especially to his passion: Hui No‘eau Visual Arts Center and the Kaluanui Estate. John was instrumental in the successful campaign to purchase Kaluanui in 2005. He served as Board President and Vice President and chaired numerous committees. John worked tirelessly to ensure that Hui No‘eau remains accessible to the entire community so that everyone may experience the “WOW” moment that he felt the first time he took a woodworking class at the Hui so many years ago. 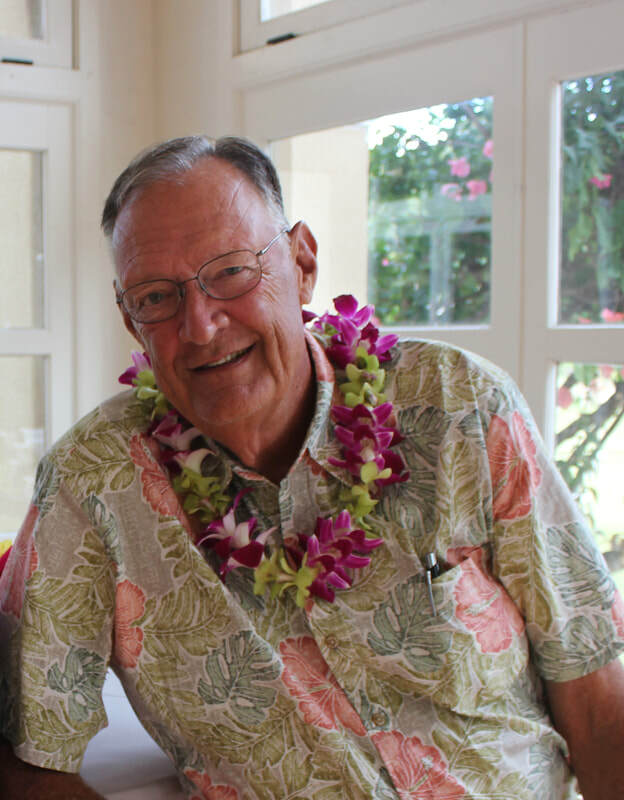 In addition to John’s hard work and dedication as a board member, committee member, and leader of the organization, John was a woodworker, patron, and generous supporter of all of the Hui’s programs. He donated his own handmade artwork to be auctioned at Art Affair every year. John generously and humbly taught people how to “Make a Table” in his personal wood studio each year. He and Lee made and continue to make generous and numerous contributions to all Hui programs, and especially, to support Hui No’eau’s capital efforts. John also always made himself available to Hui staff and always picked up the phone – even when he was on the golf course. It is with great honor and our deepest gratitude that we present Lee Hoxie with the 2019 Hui Board of Directors Recognition Award in memory of a great man and the Hui’s most dedicated ambassador and friend, John Hoxie. Hui No‘eau’s Angel Award was established to recognize outstanding talent and exceptional leadership contributing to the advancement of the arts in our Maui community. ​Hui No‘eau was thrilled to present the 2019 award to Anne-Marie Forsythe! Anne-Marie’s leadership and passion for arts education have been instrumental in creating this “inspirational haven" in our Maui community ever since she began her work at the Hui nearly 13 years ago. She joined the team as the Hui’s Registrar and quickly transitioned into program management, where she has served as the Programs Manager, Senior Programs Manager, Programs Director, and now Deputy Director. From planning and organizing new and exciting visiting artists from around the world to coordinating groups of 100 1st graders on a field trip and truly everything in between, Anne-Marie has helped make it possible for thousands of Maui residents and visitors of all ages to experience the arts at the beautiful and historic Kaluanui estate. Hui No’eau is excited to recognize Anne-Marie’s hard work, passion dedication, and innovation with this year’s Angel Award. 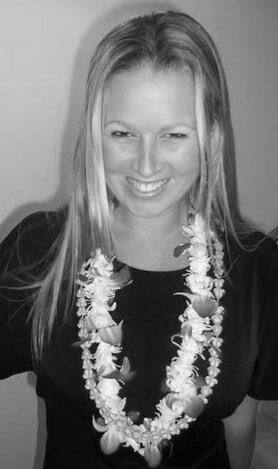 We thank you, Anne-Marie, for your commitment to visual arts education for all on Maui. Mahalo nui loa!